-Improves Acne -Good for Liver, Bone Health, Urinary Disorders, Weight Loss and it has many other benefits None I'm taking Dandelion daily and it has significantly improved my acne! It works like a natural antibiotic. 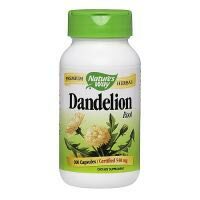 Here is how it works: Dandelion is a good detoxifier, diuretic, stimulant and anti oxidant. These four properties make it a good treatment for acne. Before we know how it treats acne, we must know what causes it. Acne is caused mainly during teens, when the body undergoes many physiological and hormonal changes. The hormones, which bring about changes in the body, if do not maintain proper ratio among themselves or are not regulated properly, tend to deposit as toxic substances in the body which tend to come out with sweat through the sweat glands or sebaceous glands on the skin. Now, during these changes, these glands secret more oils which, mixed with dead skin, block the pores and the secretion is obstructed. Due to this, these toxic substances cannot escape and result in acne. This is further worsened by the microbial infections on the effected places. Dandelion, being a stimulant, diuretic and detoxifier in nature, can help regulate proper secretion of hormones, increases sweating and widens up the pores facilitating removal of toxics through sweat and also through urine, as it is diuretic too. Its sap, if externally applied on acne, can inhibit microbial infection.